Is Machine Learning Changing The Future Of SEO? Yes! Here’s How. For years, Google’s algorithm updates have dominated the SEO industry. Every time you’ve got accustomed with an algorithm, a new update rolled out, forcing you to audit your website and rethink your strategy. 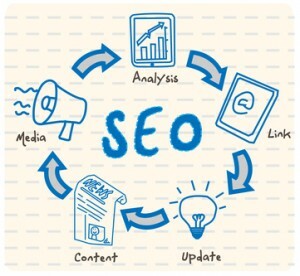 But, recently a new player has entered the game, and it promises to change the SEO world. What Is Machine Learning, Though? The term means a type of artificial intelligence that can determine computers to learn without having to program them. Machine learning focuses on the production of computer programs able to teach themselves to evolve and change when they are exposed to new data. For a local search marketing company, it is the equivalent to a self-driving car or Facebook’s new algorithm are great examples of machine learning. As you may already know, as of 2011, Facebook replaced their EdgeRank algorithm with another one that individualizes users’ experience based on what the algorithm thinks they might want. The algorithm learns your preferences by looking at your interaction, likes, clicks and lingers that you make. Other factors include the relationship that you have with a person, and they are determined based on how often you click on their photos, like their posts, talk with them on Messenger, how often you write on their Timeline, and so on. Google, however, still relies heavily on manual updates and uses a team of engineers to make sure that Internet users are getting quality relevant results. But, this aspect is soon to be changed since Google recently added a new layer to its ranking algorithm. Now, Google is focusing more on artificial intelligence to rank all search results. They call it RankBrain. The answer is no. By taking the human factor out of the equation, engineers at Google or Facebook are simply making sure that their engines will deliver better results. It can also mean that the future of SEO will change. But How Is Machine Learning Impacting SEO? But, to be honest, machine learning isn’t quite yet changing the world of SEO. At this stage, RankBrain is just another algorithm update. But, in the future, an algorithm that updates itself automatically can mean fewer updates. More than that, machine learning should impact your SEO efforts in a way that continues the strategy that you have already developed. SEO best practices are still in place, for now, and you should focus on creating valuable content, dedicated landing pages, optimize your website for mobile, and offer exceptional user experience. However, things are due to change in the future. As Google’s AI evolves, the algorithms will become more precise, and they will get better at making predictions. More than that, since RankBrain is believed to be the third most important signal (out of 200), you can expect it to impact and change SEO and ranking. That might be good news for marketing agencies who have played by the rules, but still don’t manage to improve their rankings. In the future, machine learning will determine more relevant search factors, helping those who respect SEO best practices. What Options Do SEO Experts Have? Undoubtedly, SEO has always been a more of a “moving sands” type of ground. However, machine learning is a complete game changer. Up until now, it seemed that Google’s priority was to ruin rankings and wreck businesses. With this new algorithm, though, hopes are that the changes will be happening more slowly, and in an adaptive way. The algorithm learns based on human experiences, so marketers need to start paying close attention to their audience’s searching habits. The best way to do that is by tracking the user interaction with the website so that you can adjust it to an optimal experience. Another productive way to create meaningful experiences is to work together with developers and information architects. But, probably the most underrated tip is to create helpful and relevant content. Ultimately, do not forget to perform A/B tests on every landing page, website or platform. The majority’s opinion is that machine learning will only get bigger. Google is the perfect example of how this algorithm has already taken a big place in the SEO world and how it can perform some even bigger changes. SEO experts shouldn’t worry too much since things won’t change too much for them if they keep optimizing for humans. Remember people are the center of your business, not Google.